Follow our team in Guatemala! Minnesota Doctors for People is a 501(c)(3) non-profit corporation. We provide free medical care to underprivileged people in the world. Since our founding in 2006, MDP has completed 27 medical mission trips. With the help of more than 200 volunteers over nearly 11 years, we have traveled to the San Lucas Toliman area of Guatemala and to the Chiapas, Mexico region where we have served the medical needs of over 12,000 people! People in the remote areas that we serve generally do not have access to public hospitals which are often located far away. Our visit may be the only chance they have to see a doctor all year. 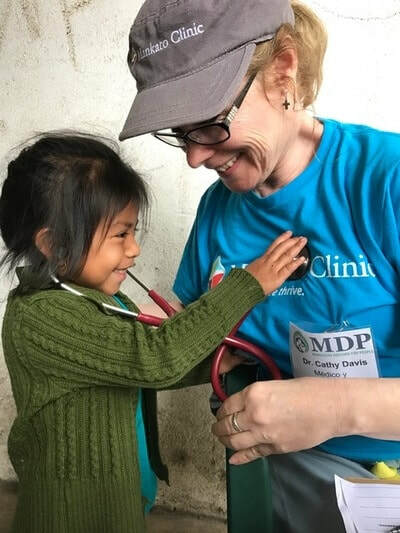 We offer medical professionals and other volunteers an opportunity to share their gifts while experiencing other cultures, learning about social justice and promoting goodwill through short term mission trips. We are Moved to Serve!